Lametti says it’s not too late for him to issue a directive to the federal prosecutor service to settle the charges against the Quebec company out of court (for subscribers). And he sees nothing that “justifies” Tory and NDP calls for a committee investigation after The Globe and Mail reported that the Prime Minister’s Office attempted to put pressure on then-justice minister Jody Wilson-Raybould to direct the prosecutions office to settle the case. SNC-Lavalin, meanwhile, is arguing in court documents that it has made “permanent transformative changes” to its business practices. The company says it “easily met” requirements for settling charges of bribery and fraud in connection with Libyan construction contracts. It accuses federal prosecutors of being “incoherent” in their explanation of why they won’t settle. Tens of thousands of centre-right and far-right supporters took to the streets of Madrid to protest against what they view as concessions by the government to Catalan independence parties (for subscribers). Prime Minister Pedro Sanchez recently said he would engage in talks with the Catalan groups, although the pro-independence side has rejected the framework and is demanding a referendum be put on the agenda. Right-wing politicians are calling for early national elections, and they may soon get their wish if the government’s budget proposal fails a vote on Wednesday. At the same time, 12 Catalan independence leaders are set to begin trials this week on charges of rebellion and misuse of public funds over their failed efforts to secede in 2017. Wilson served under Brian Mulroney’s government in the 80s and 90s, ushering in the 7-per-cent GST before helping to negotiate the North American free-trade agreement. In the late 2000s, he went on to serve as Canada’s ambassador to the U.S., and also served as chancellor of the University of Toronto. A giant in the business world, Wilson held senior roles at a number of firms including RBC and Barclays Capital Canada. Later in life, after his son’s death by suicide, Wilson became an advocate for mental-health support. He died of cancer. Musgraves, a rising country star, took home the top honours last night as she won album of the year. But the bigger story may have been Childish Gambino, who with his track This Is America becoming the first rap-based song to win record and song of the year. 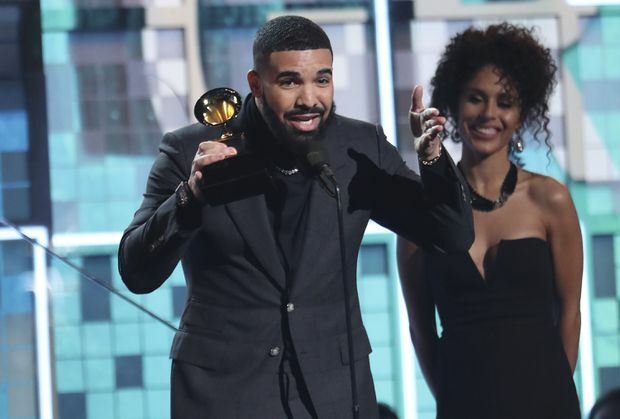 And Drake, usually a no-show at awards shows, made a surprise appearance to accept his trophy for best rap song. Other Canadian winners included Daniel Caesar for his feature on R&B track Best Part, Willo Perron for his work on St. Vincent’s Masseduction album and Greg Wells for his contributions to the soundtrack to The Greatest Showman. Brad Wheeler takes a look at the all the highlights. Two or three Canadian women living in Islamic State territory have surrendered themselves as U.S.-backed forces close in on the jihadist group’s last remaining territory in eastern Syria. The U.S. is likely weeks away from starting the withdrawal of its forces in Syria, according to a top general. Thousands are still without power in B.C. 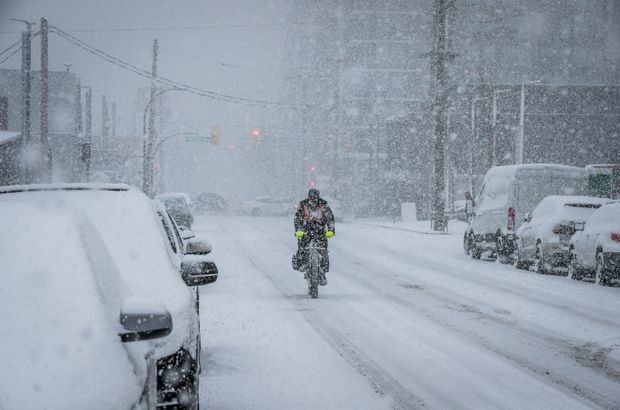 after a weekend windstorm, while the Lower Mainland and Vancouver Island experienced heavy snowfall that was expected to reach as much as 10 centimetres. World stock markets rose on Monday, as investors eyed the resumption of trade talks between the United States and China and watched for signs of progress on Brexit. Tokyo’s Nikkei was down 2.0 per cent while Hong Kong’s Hang Seng was up 0.7 per cent and the Shanghai Composite Index 1.3 per cent. In Europe, London’s FTSE 100 was up 0.6 per cent while the Paris CAC 40 and Germany’s DAX were up 0.8 per cent. New York futures were up. The Canadian dollar was at 75.33 US cents. Oil prices were steady as support from OPEC-led supply restraint was countered by an uptick in U.S. drilling. The two categories might offer similar vitamins and minerals, but Leslie Beck notes that they have different nutrient and phytochemical profiles. Leafy green vegetables, for example, have properties that have been linked to healthy brain aging and a lower risk of cataract and macular degeneration. In short: you need both fruits and vegetables as part of a balanced diet. For more than 100 years, photographers and photo librarians working for The Globe and Mail have preserved an extraordinary collection of 20th-century news photography. Every Monday, The Globe features one of these images. In February, we’re focusing on Canada’s black history.